Even as airlines try to increase revenue by squeezing more passengers in, one leading aircraft maker is calling for a minimum 18-inch (46-centimetre) seat standard on long-haul flights. 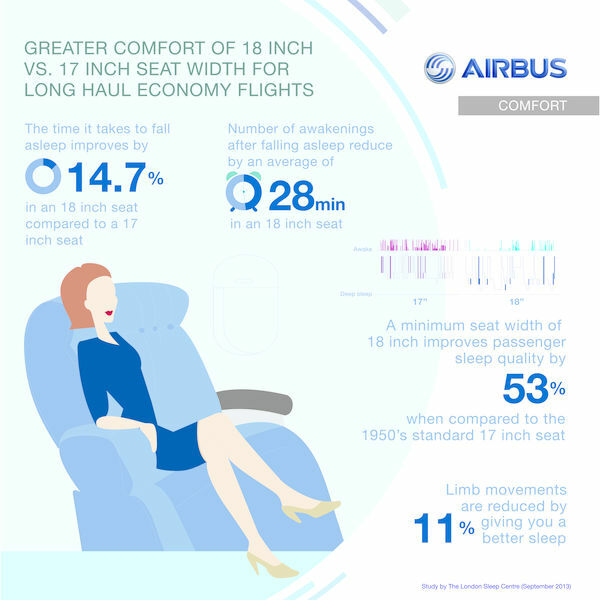 Citing a study conducted in Britain, Airbus said Monday an 18-inch seat improved passenger sleep quality by more than 50 per cent, compared to the more common 17-inch (43-centimetre) seat. In calling for more cabin comfort in the economy class, the European manufacturer noted the rapid growth in long-haul flights. It said in the past five years alone, the number of daily flights over 13-plus-hour flying time had increased from 24 to 41. Airbus has also predicted that in the next 15 years passenger traffic will double and by 2032, the world’s airlines will take delivery of more than 29,000 new aircraft. But lately, the focus of many airlines worldwide has been on making more money. That worries Kevin Keniston, head of passenger comfort at Airbus. “If the aviation industry doesn’t take a stand right now then we risk jeopardizing passenger comfort into 2045 and beyond –- especially if you take into account aircraft delivery timetables combined with expected years in service,” he said. But Airbus has its own vested interest in promoting a wider-seat campaign — it says it has always maintained a standard of 18 inch minimum in its long-haul economy cabins. “However, other manufacturers are eroding passenger comfort standards by going back to narrower seat widths from the 1950s in order to remain competitive,” the company claimed Monday. So, the stage is set for a PR war over cabin comfort. It all began with a start-up capital of just US$10 million and two leased aircraft in 1985. Ready to fly – an image from Dubai Airport. Emirates Photo. Today, Dubai-based Emirates is one of the world’s largest airlines with one of the youngest fleets. This week, Emirates unveiled plans that would make it THE largest airline in the world in seven years. “By 2020, we will have more than 250 aircraft serving some 70 million passengers across six continents. It will make us the largest airline on the planet by international passenger traffic,” Emirates president Tim Clark told an international delegation appraising Dubai’s bid to host the World Expo 2020. But Clark added that being the biggest airline in the world was not really the company’s end goal. The aim, he said, was to connect travellers from around the world to Dubai, and other destinations with just a single stop. Clark pointed out that more than a third of the world’s population lives within a four-hour flight from Dubai, and two-thirds within an eight-hour flight. The airline has grown exponentially since it debuted with Flight EK600 from Dubai to Karachi on Oct. 25, 1985. 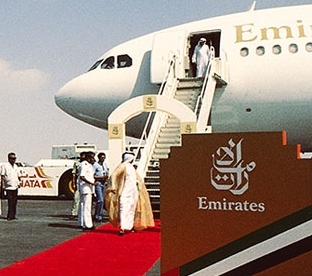 This Friday, Emirates celebrates the 28th anniversary of its maiden flight. 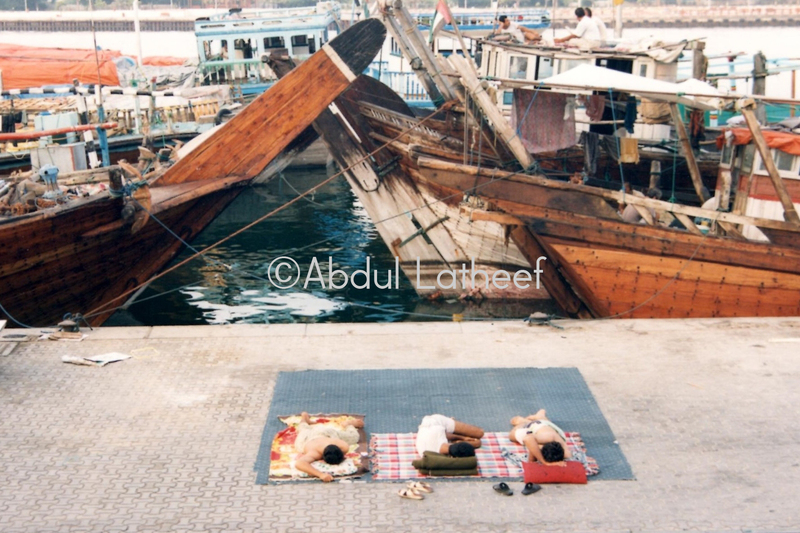 Emirates Photo. Today, Emirates operates nearly 3,200 flights a week to 135 destinations in 76 countries, including Canada and the United States. It carried more than 39 million passengers in 2012-13. 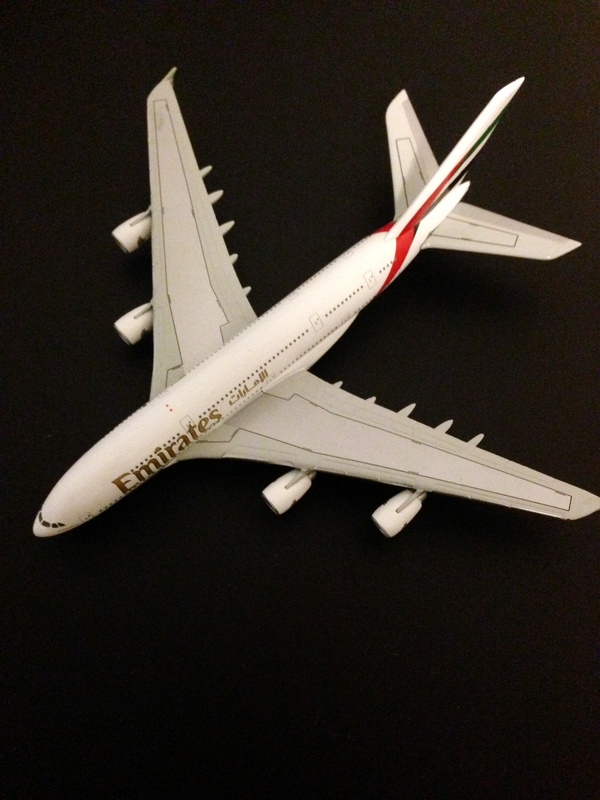 With 37 Airbus A-380s, Emirates is the largest operator of the largest passenger aircraft in the world. It has 53 more on order and opened the first dedicated concourse for the superjumbo in Dubai earlier this year. It is also the largest operator of Boeing 777s, with 131 in the fleet and 64 on order. But the airline’s rapid growth has hurt other carriers in the region and beyond. According to one report, in 2011-12, Emirates flew more international passengers in and out of India than India’s own national carrier Air India. That is a testimony to the success of the “Dubai hub” concept. Dubai International Airport. Emirates Photo. In 2012, Dubai International Airport handled 57 million passengers from 225 destinations. A second airport, known as Dubai World Central Al Maktoum International Airport, will open to passenger aircraft in a few days, ahead of next month’s Dubai Airshow. The organizers of the world’s fair have yet to decide which city will host Expo 2020, but Emirates and Dubai are gearing up to welcome an estimated 20 million visitors that year. With just over a month to go before a winner is named, Dubai is leading the race to host the 2020 World Expo. A screengrab of Dubai’s official Expo 2020 website. Already a tourist hub, the city is competing with Ekaterinburg, Russia; Sao Paulo, Brazil and Izmir, Turkey to host the biggest fair on earth. The Expo, which lasts six months, has never been held in any of the regions – Middle East, Russia and Latin America – bidding for it.The Paris-based Bureau International des Expositions will name the winning city Nov. 27. This week, Dubai is presenting its theme to a delegation of more than 250 officials from the BIE’s 167 member countries. “After Ekaterinburg, Sao Paulo and Izmir, Dubai is the last candidate city to uphold its project and present its theme… Delegates of the BIE, local authorities and experts will gather for the occasion,” the BEI says in a post on its website. In the lead-up to the appraisal event, Dubai said the Expo will generate some 277,000 new jobs in the city. Dubai has been hosting mega events for years, and the 2013 Dubai Airshow is set to open next month. As of Monday night, its official website had nearly 650,000 “Likes” and 42,000 followers. 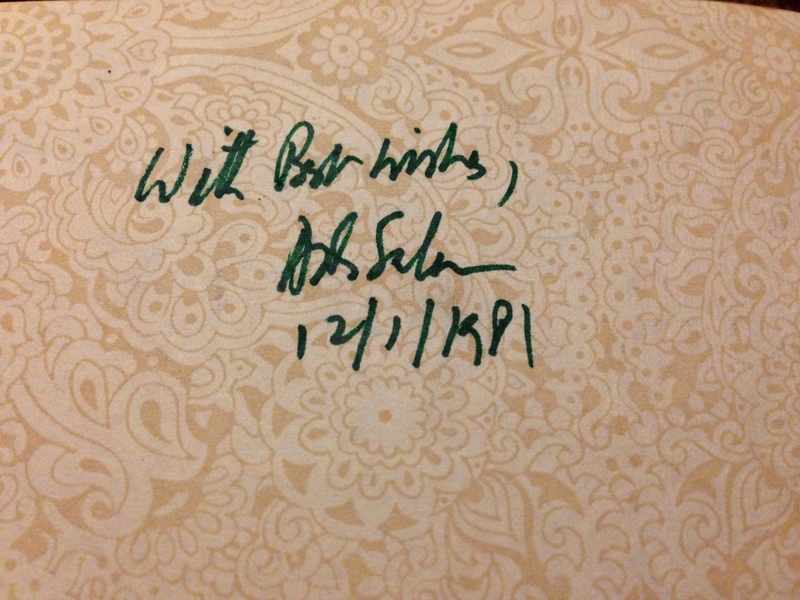 The website also features an endorsement from a high-profile personality — Bill Gates. “Dubai… has modernized itself and taken on tough projects, brought people together in a number of amazing ways,” he said. The Expo has been held in 11 cities, including in Montreal in 1967, in the past 80 years. The Italian city of Milan will host the next event in 2015. 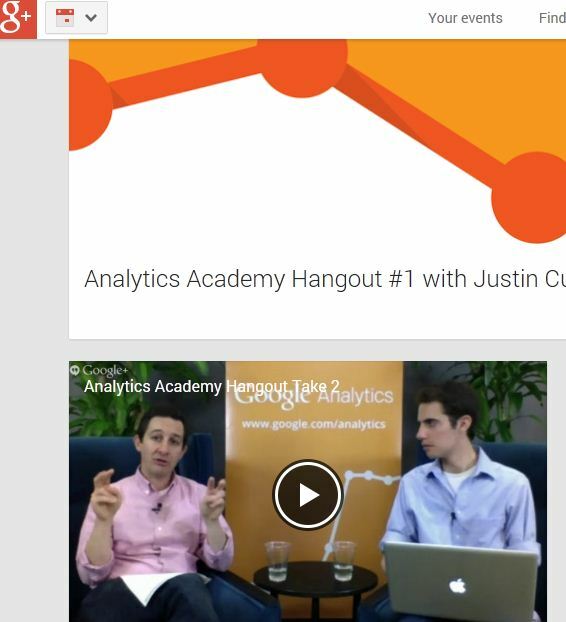 A screen grab from Tuesday’s first Google Analytics Academy Hangout. Video streaming is child’s play these days, but apparently not so for Google! The tech giant’s first Google Analytics Academy Hangout was plagued by glitches throughout the session Tuesday afternoon.The debut was hosted by Analytics Evangelist Justin Cutroni and Engineering Director Paul Muret. Some 2,000 people from all over the world were online to learn from them, but the session did not go the way it was supposed to. “Something’s not right,” Google acknowledged. By the time the session resumed, Muret had disappeared and was replaced by an Analytics specialist. “We never had an outage like this,” an embarrassed Cutroni declared. He apologized to the audience and promised to post a video of the session. In all, Cutroni said, more than 100,000 people had signed up for the free Analytics course, which went online early this month. 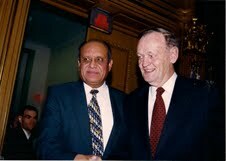 Mobeen Khaja with former prime ministers Jean Chretien and Paul Martin. APMC Photos. It was the chance reading of an article in the Buffalo News 17 years ago that propelled Mobeen Khaja to establish what has now become a major annual event in Ottawa’s social calendar. 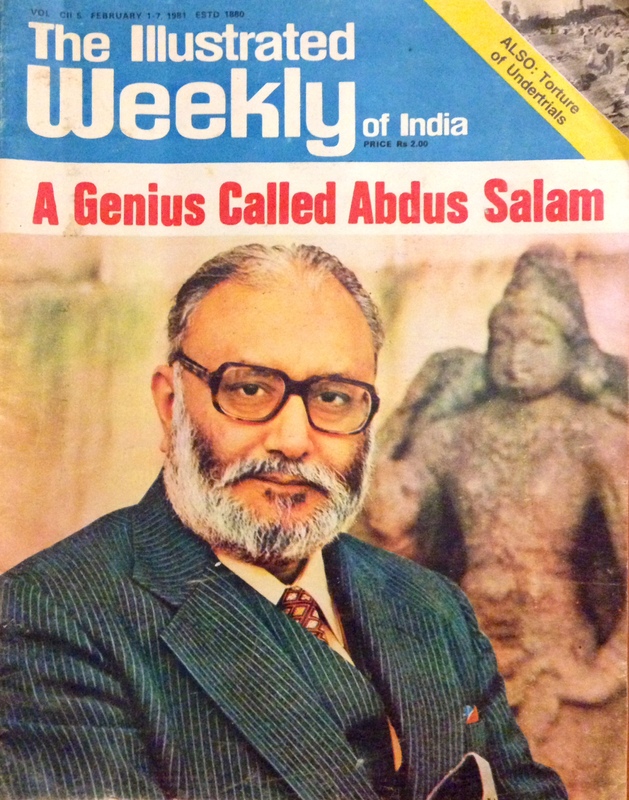 “I was on a visit to Buffalo and I saw this story about Hillary and President Clinton hosting an Eid dinner at the White House and I thought why we can’t have similar events in Canada,” Khaja said last week.Eid is a major Islamic holiday.Not before long, Khaja, then an accountant in Toronto, was on his way to bring members of various faiths together to celebrate Eid. 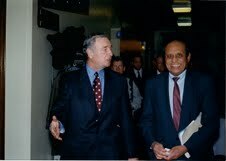 With the help of his long-time friend and Liberal MP Dan McTeague, he hosted the first event in May 1996 on Parliament Hill. That was a big success. Political leaders and members of the diplomatic corps now join Muslims every year to celebrate Eid on Parliament Hill. A few years later and with the help of corporate and individual sponsors, Khaja and his team were also able to expand the program to Queen’s Park and City Hall in Toronto. The events are organised under the banner of the Association of Progressive Muslims of Canada, a group Khaja has headed since he founded it in 1998 to promote peace and harmony. For his efforts to build bridges of understanding between Muslims and other faith groups, Khaja was awarded the Order of Ontario in 2011. Now retired, Khaja is devoting most of his time just for that.